Smyhcounty had the most liked content! Quinton is such an amazing player to watch. I’ve gotten to see him play several times over the years. The 1A tournament at VA High in 2016, which I thought he was a freshman, was my first time seeing him play. His speed and ball handling definitely sets him apart from others. Last year when they played Gate City in Radford, all eyes were on McClung, understandably so, but Quinton had a great performance as well. He seems to be a well mannered and disciplined kid on and off the court. No, we’re all busy wth State week. You know, where we have all these events going on in the Chilhowie and Riverheads communities. Parties to attend and get togethers to make appearances at. Restaurants hosting football nights. Plus we got all this media frenzy thing going down. Oh my bad, you don’t know what State week is like. I can't get the came to come up the the NFHS Network. That was a drying agent. I thought the same thing at first until I realized what it really was. It $9.99 for a whole month, so you'll get today's game plus all games next weekend. New Day, New Topic! It game day fans. What an exciting day this is going to be. For the 1:30pm kickoff, the forecast will cloudy with a temperature of 53º and a 30% chance of showers. Kudos to Northwood for you hosting this event, shout out to Galax for producing this game for the NFHS Network, that is a huge deal for many who can't be there and they do an awesome job calling and filming a game. 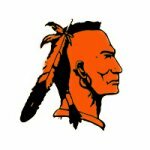 Message board peeps, I've enjoyed posting with all of you this season and myself, like most from Chilhowie we will be pulling for whoever wins this game and represents the West next week in Salem. Galax, have a safe trip down I-81. Welcome to Smy"t"h County! I just took a little to trip to "Sawvull". Here is pictures of the field. Yes this throws all my reason for wanting it to be home out the window. Its an age old rivalry, probably had something to do with horse thieves stealing from one another in the 1800's. Looks like they added some visitors bleachers since last time I was there. Parking will be an issue thats for sure. According to WCYB who was live just a few minutes ago at the school. VHSL is currently looking at the field with boots on the ground and are open to alternative sites other than Emory if they elect not to allow the game at Chilhowie. A decision will be made at 2:30pm. No kidding! That would have been neat to watch.